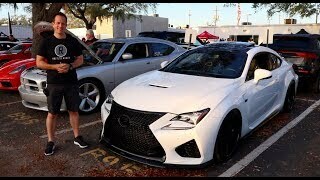 Lexus has officially unveiled the RC F Coupe which is set to debut at the 2014 North American International Auto Show on January 14th. 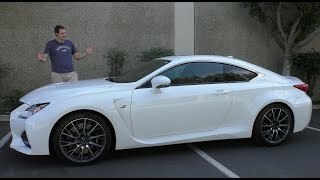 The 2015 Lexus RC F coupe is styled to support the most powerful V8 performance car ever developed by Lexus. The model has been equipped with an aerodynamic body kit. Ducts beneath the front bumper, fenders, and strategically-placed aerodynamic stabilizing fins create a stance which further identifies the F model. The car also has a revised grille and 19-inch forged aluminum wheels which are available in three different designs. The RC F features an available speed-sensitive active rear spoiler. 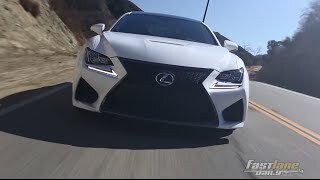 It enhances the coupe’s lines at standstill and deploys from the RC F’s deck at approximately 50 mph and retracts when the speed is less than 25 mph. The striking cockpit-like interior of Lexus RC F complements the aggressive exterior. It is equipped with a new instrument cluster, leather-wrapped sport seats and alloy peals. 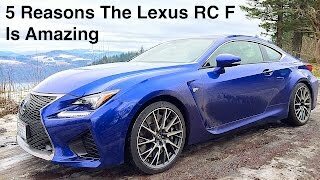 The 2015 Lexus RC F debuts a Lexus-first elliptical cross-section thick-grip steering wheel with optimum placement of paddle gear shifts. Performance details are not released but it is expected to be powered by the 5.0-liter V8 engine developing 460 bhp (343 kW). The car will accelerate from 0-100 km/h in 4.5 seconds and hit a top speed of approximately 300 km/h (186 mph).